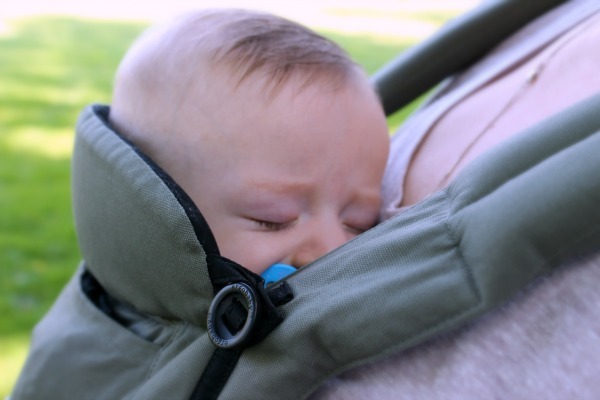 Disclosure: Ergobaby provided free product for review. This site also makes a small commission when you purchase an Ergobaby product after clicking the referral links. However, all opinions stated here are my own. Have you ever wished there was an easier way to get your everyday tasks accomplished while holding your baby? Good news – there is! When I had my first baby, it seemed impossible to get anything done. She cried if I put her down and there was only so much I could do while holding her. When my daughter was a couple months old, another mom recommended I try babywearing. At the time, I didn't know anyone else who wore their babies. I did some research and decided to try an Ergobaby baby carrier. Let me tell you, my original Ergobaby baby carrier was a life saver! I used it through toddlerhood with both of my kids. 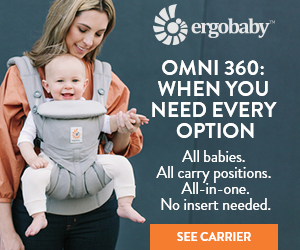 So, when I received the opportunity to check out the new Ergobaby Omni 360 baby carrier, I was excited to see its new features. Since I no longer have a baby, I asked my friend Elizabeth if she'd like to use it with her son. 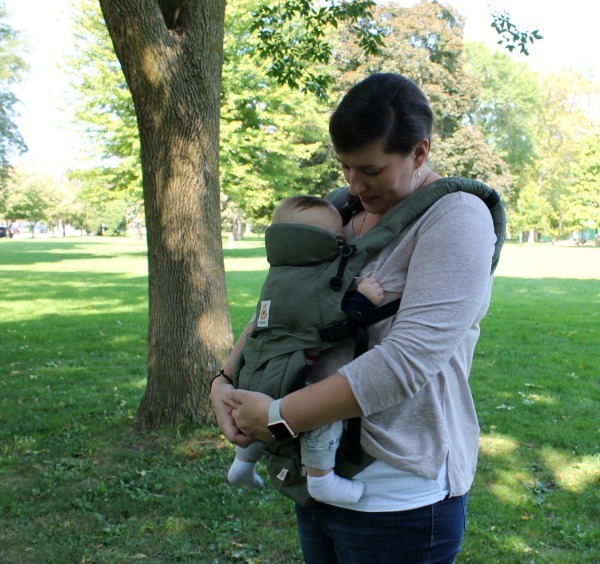 I am happy to recommend Ergobaby's award-winning baby carriers to other moms. Their soft structure baby carriers are comfortable for parents and ergonomic for baby. The new Omni 360 supports baby's hips by keeping them in an “M” shape. 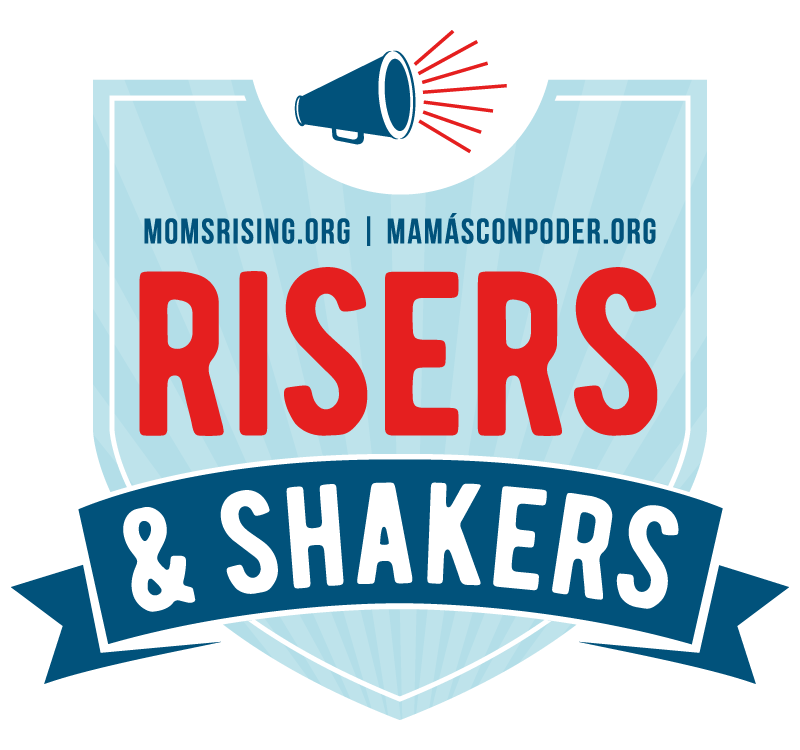 Here are a few reasons why I think new moms need a baby carrier. Babies love to be held and as much as we love to hold babies… we have other things we need to get done too. Babywearing gives you your arms back! It's easier to read, do laundry, fix a snack, attend to your other children, etc. The Omni 360 is easy to put on solo, which is important. My first Ergobaby carrier required an insert with newborns, which made it a little trickier for me to put on. I love that the Omni 360 adjusts for babywearing a newborn without a special insert. Did I mention your hands are free while baby is in the carrier? How awesome is it that baby can sleep in the baby carrier while you get things done around the house? My babies always napped best when they stayed close to me, so babywearing them was a total game changer. Plus, it made naps while out and about possible. Elizabeth's little guy snoozed while we chatted over coffee. The movement from walking while baby is snuggled against you makes it hard for them to resist closing their eyes. You can't always time baby's feedings around errands and it's not always practical to stop what you are doing and find a place to nurse. I love how easy it is to breastfeed in the Ergobaby. I would loosen the shoulder straps a little to lower baby, adjust my shirt, and latch baby on. Most of the time other people couldn't tell my baby was breastfeeding in the carrier. This allowed me to continue grocery shopping or follow my other child around the zoo with ease. It may take a little practice to get the hang of it, but once you do, it makes multitasking a breeze! With a simple adjustment, the Ergobaby Omni 360 baby carrier allows baby to face forward (something my previous Ergobaby did not do). This makes it easier for your little one to see what's going on and provides parents with more freedom to socialize while keeping baby close. I often wore my babies at the grocery store, airport, zoo, local festivals, and even family gatherings. Elizabeth used the Omni 360 while apple picking with her family. Baby carriers are perfect for outings that are difficult to navigate with a stroller while keeping baby close and comfortable. The padding and support makes it comfortable to wear. The hood helps cover baby's head if it's sunny or they need a break from an overstimulating environment. There's even a place to stick your cellphone and keys. Plus, dads, grandmas, and other caregivers can also use the baby carrier! We hope our reasons why new moms need a baby carrier helps you understand how babywearing may benefit you and your family. Ready to get your own? Click here to shop for the Ergobaby 360 Omni baby carrier.